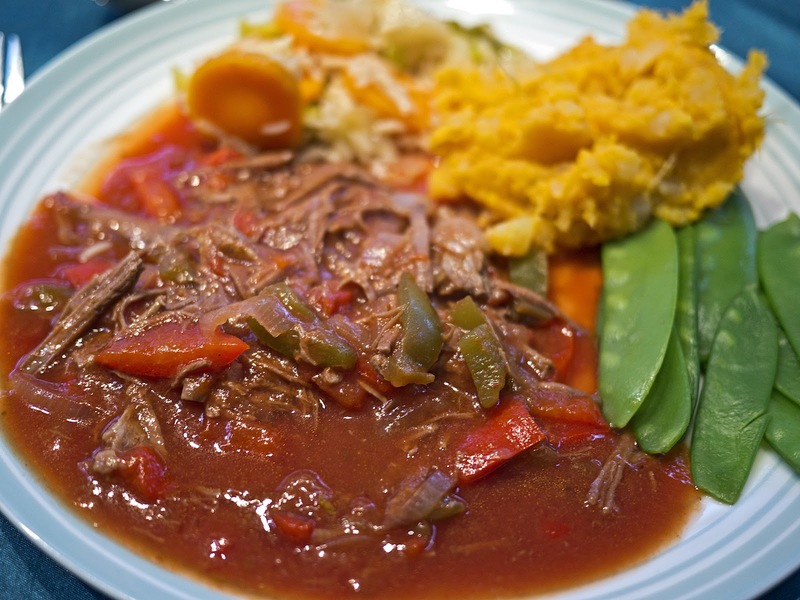 This is a very traditional Cuban stew – the name, which means 'old clothes', refers to the fact that the meat is cooked so well it can be shredded. It's a great dish to cook in the slow cooker, although I am sure it would be equally successful to make on the stove top – you just need to adjust the timings accordingly. Remove all the fat from the beef and cut into 3 or 4 large chunks. 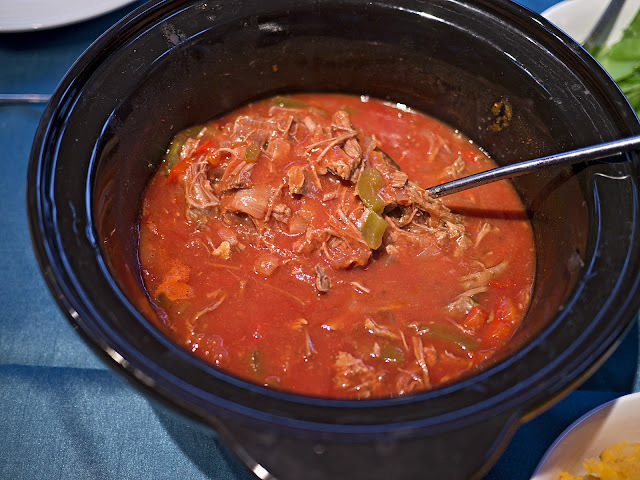 Place in the slow cooker with the stock and cook for 7-8 hours on a low setting. About half way through, add all the other ingredients, except the passata. 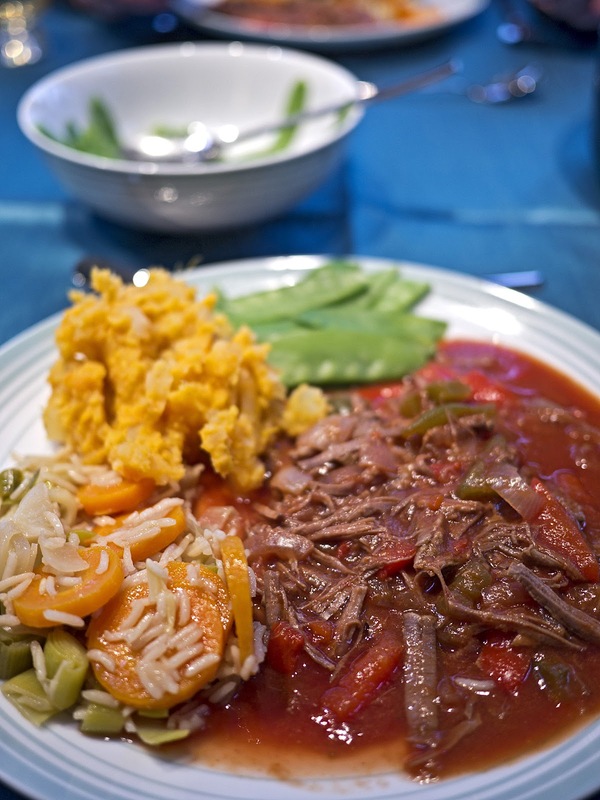 Once the beef is cooked, shred with two forks and add back into the stew with the passata. Stir well, make sure it all hot and serve. It's that simple. Traditionally served with rice, as my dad doesn't eat rice, I made some mash from potatoes and sweet potatoes to go with it, on the advice of a very dear Cuban friend.